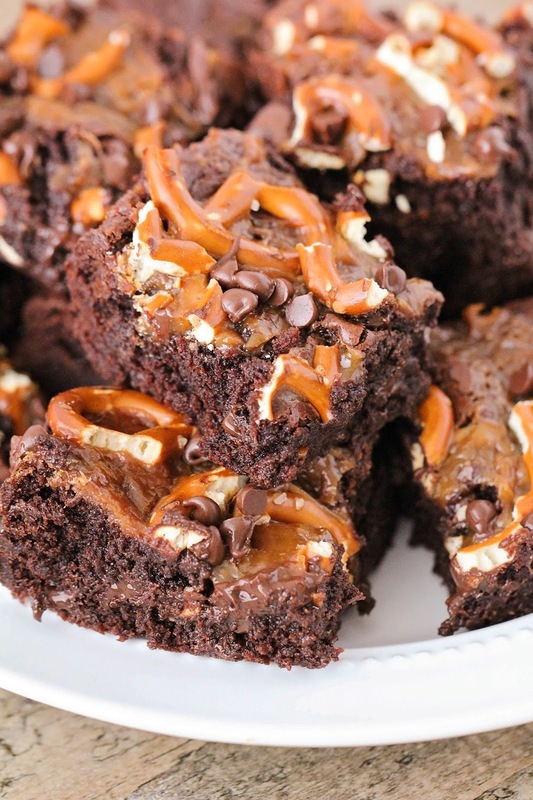 These rich and fudgy caramel pretzel brownies are the perfect mix of salty and sweet, and have an amazing texture. So chocolatey and delicious! 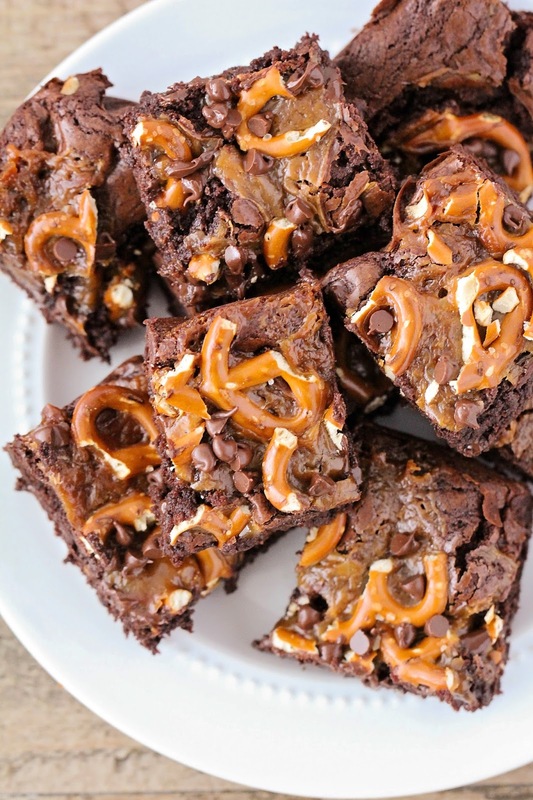 Caramel + pretzel + brownie = perfection! 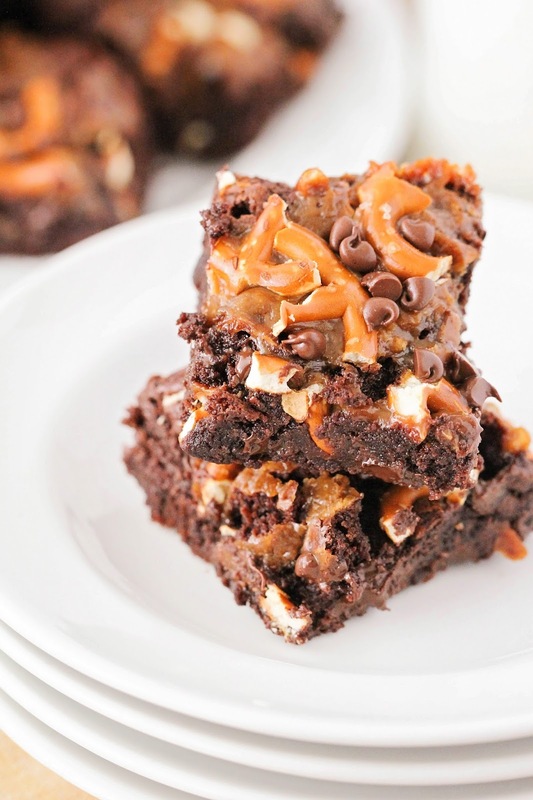 These caramel pretzel brownies are over the top indulgent and delicious, and perfect for satisfying your sweet tooth. I've mentioned before that I frequently send treats to work with my husband to share with his co-workers on night shifts, and one of his co-workers has been begging him to bring brownies. These life-changingly delicious brownies were my response, and they went over pretty well on the unit. :) They're rich and decadent, and such a delicious combination of flavors and textures! I'm a total sucker for sweet and salty desserts, and these brownies are the perfect combination. 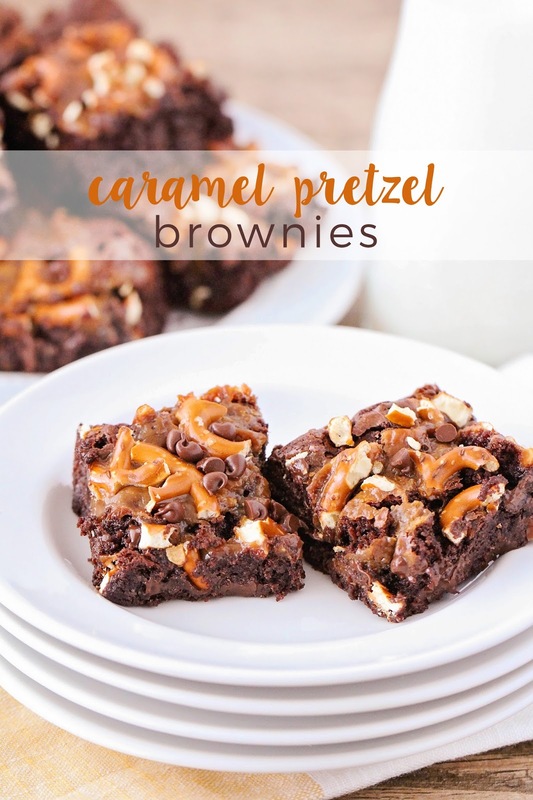 They're made with a dense and chewy dark chocolate brownie base, topped by a luscious caramel swirl, and sprinkled with mini chocolate chips and chopped pretzel pieces. It seriously doesn't get better than that! Preheat the oven to 325. Line an 8 x 8 or 9 x 9 square pan with parchment paper. In a large bowl, whisk together the butter and sugar. Add the eggs and vanilla, and mix until smooth. Add the cake flour, cocoa powder, baking soda, and salt, and mix until just combined. Fold in the chocolate chips. Spread the brownie mixture in the prepared pan. Add the caramel bits and cream to a small microwave safe bowl and microwave at 50% power for one minute intervals, stirring in between, until melted. Spoon the caramel into several thick lines going across the brownie batter. Run a toothpick through the batter in several lines perpendicular to the caramel, to swirl the caramel into the batter. Sprinkle with chopped pretzels and mini chocolate chips. Bake 35-40 minutes, or until a toothpick inserted 1 1/2 inches from the side of the pan comes out clean or with a few moist crumbs. Let cool before slicing and serving. 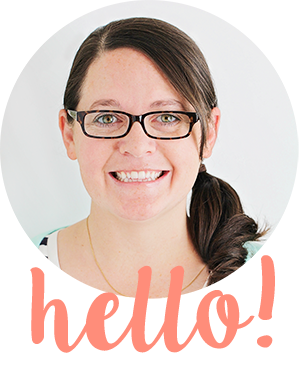 Since today is National Caramel Day, I've teamed up with my Celebrating Food blogger friends to bring you all the best caramel recipes. 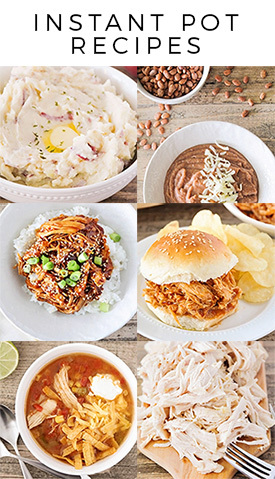 Check out these amazing recipes below! I can think of no better use of pretzels...ever! Looks so good! ooohhhhh this looks divine! that salty and sweet together? YUM!